English version - Holistic Programs - Poznaj Siedem Filarów, zadbaj o swoje zdrowie. I wróć do tego, co naturalne. Warto wiedzieć! 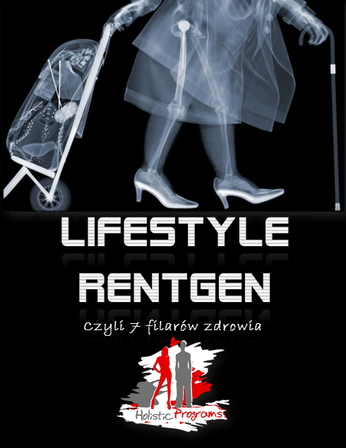 Lifestyle Rentgen - the purpose of the training is to learn the seven pillars of health. While working in details on one of them – water. During the course we will provide you with a proffesional and necessary knowledge and skills. When you complete the course, you will know how to enjoy full health. No matter how long it takes and how old you are. It’s an unusual holistic training and a healthy lifestyle coaching. Having completed the course, you will acquire the skill of x-raying your lifestyle (you’ll be able to „x-ray” your lifestyle). You will learn the seven pillars of a healthly lifestyle. You will find out how to change the quality of your life in a simple way. If you take part in this course, it will be the best investment in your body. The only one you have had and that you are going to have. You will understand the way you can cooperate with your body. In this part of the course we will introduce all the seven pillars. So that you might get a complete knowledge during only one stage of the course. We will thoroughly discuss the most important of them – water that cures. - No matter who you are, no matter what you do and how you live. If you feel that you are going to get exhausted physically, emotionally and mentally (or you don`t want to find yourself in such a situation) take matters into your own hands. Start to act! -If you have numerous skin lesions and frequent headches or you are suffering from one of the civilization diseases (hypertension, obsesity, allergies) and if you feel the constraints caused by them you must take part in our course entitled Lifestyle Rentgen . -We would like to encourage you to start introducing changes in your life, become the manager of your life. Free yourself from your limitations. Make your own choice! -> Decide! -> Change your life for the better! Remeber that you have only one health. Instead of spending a fortune for pills, magical potions, magical equipments, You we will learn the seven pillars of health. Making use of natural methods of treatment which supported by latest medical researches. We can guarantee it will be faster, cheaper and easier. In Holistic Programs we know that a human being consists of a mental, physical and spiritual/emotional sphere. We already know that, focussing on one of them only will not bring satisfying effect. When we work on our diet, for example, without paying attention to exercise or our spiritual condition, we will not get a body we would like to have. Healthy does not necessarily mean bad, expensive or uncomfortable. It is important to remove the causes of diseases and not to treat their symptoms only. That is the main difference between our approach and that of contemporary medicine. If you take part in our course, you will come back home with an extensive knowledge and ability to put it in to practice. You will be able to change your lifestyle in order to enjoy a healthy life again and all the time. Sounds unbelievable? Yes, it does! That is why do not believe a word of this.